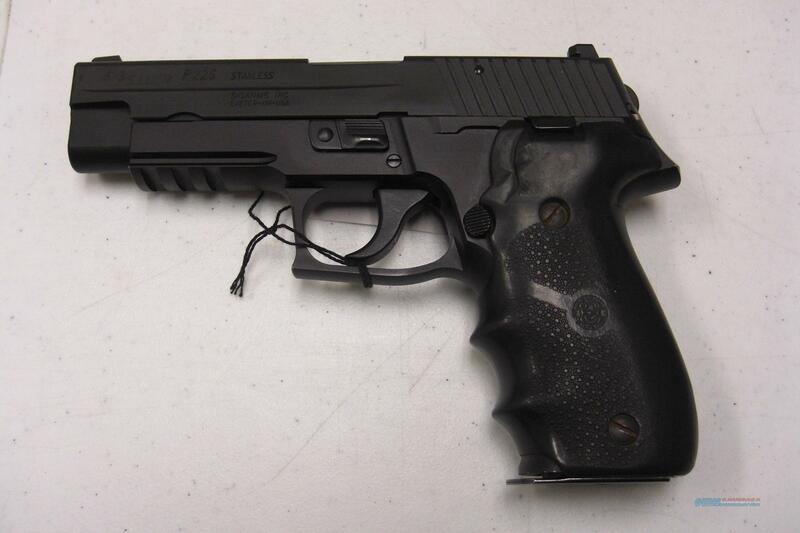 Description: This used Sig Sauer P226R pistol fires the .40S&W round. It has a 4.4" barrel with an overall black finish, although the slide is a black stainless. This pistol has night sights with the front ones not glowing at all, the rear ones glowing very faintly, and an under barrel rail. This finish has very little wear and is in really good shape. This pistol comes with three 12 round magazines, rubber grips, and a hard case.